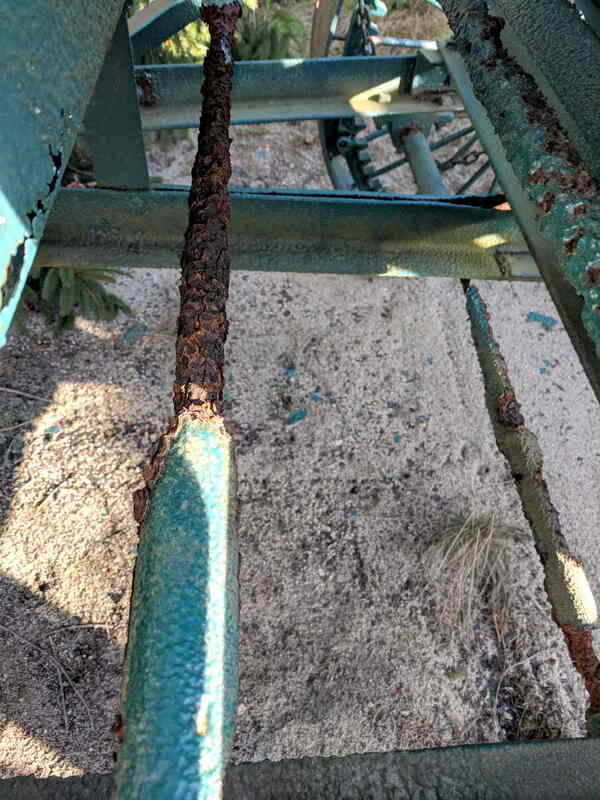 Admittedly, it’s been sitting untended for many years, but the worst corrosion formed along the midline of the machine, eating the conveyor housing, drive shafts, and support struts. I managed to go all this time without realizing cranberry plants are evergreens. This entry was posted on 2017-11-11, 07:47 and is filed under Machine Shop, Oddities. You can follow any responses to this entry through RSS 2.0. Both comments and pings are currently closed. About the only way I can stand cranberries is in cranberry bread, where they’re cut with plenty of sugar and spice. Other than that, phew!